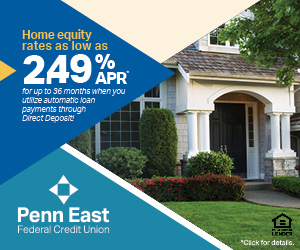 Penn East is a firm foundation you can build your life on. We exist to make a difference in our members’ lives. Join a credit union you can depend on. In a time where many financial institutions are unstable and can't be trusted, Penn East is a firm foundation you can build your life on. in Lackawanna, Luzerne, or Wyoming counties is eligible to join! Always satisfied with the great service provided by the staff at Penn East. Everyone is so pleasant and courteous. Keep up the good work. We’ve always been here and will always be here. Join a credit union you can depend on. Give us a call, or stop by any of our branches to complete the easy sign-up process.